Home › Equipment › Pools and spas: good habits can make you save! A pool or spa can be responsible for approximately 70% of your summer electricity bill. Adopting the right pool and spa products as well as good habits will help you save. If you’re planning to purchase a pool heater, choose a heat pump and save up to 75% on water heating costs. A heat pump is more expensive than an electric resistance heating system but the major energy savings will offset the higher price. • For additional savings, lower the heat pump’s set temperature by two degrees. • Install the heat pump in an area that gets plenty of air. • Hire a master electrician to install your heat pump. • Use a cover to protect the heat pump in winter. Use a solar cover and save up to 45% on your water heating costs. • Use a solar pool cover every day, especially overnight and even in warm weather. • Place the cover bubble-side down, in contact with the water. • Use a reel for easier handling. • Lower the temperature by just a degree or two to save approximately 25% on your water heating costs. If you’re planning to replace your pump or install a new pool, choose an efficient pump (a two-speed or variable-speed model) and save up to 80% on water filtration costs as compared to a single-speed pump. • Choose a model of two speed pump that automates the hours at which the pump operates on high and low speeds to facilitate use and maximize savings. • Choose an ENERGY STAR certified model. • Ask your pool retailer whether the pump is compatible with your setup (chlorinator, ionizer, ozonizer, heater, etc.). • When it comes time to install your variable-speed pump, call upon the services of an expert, who can give you personalized tips. Install a timer on the filter pump and save up to 45% on filtration costs without sacrificing water quality. • Choose a timer that is especially adapted to your pool (for at least a 1-HP motor) and rated 15 A. • If you choose an electronic timer, be sure it can store programming information in case of power failure. Did you know that using a spa just once a week is the equivalent of leaving a 55 inch television on for 24 hours/day for a month? 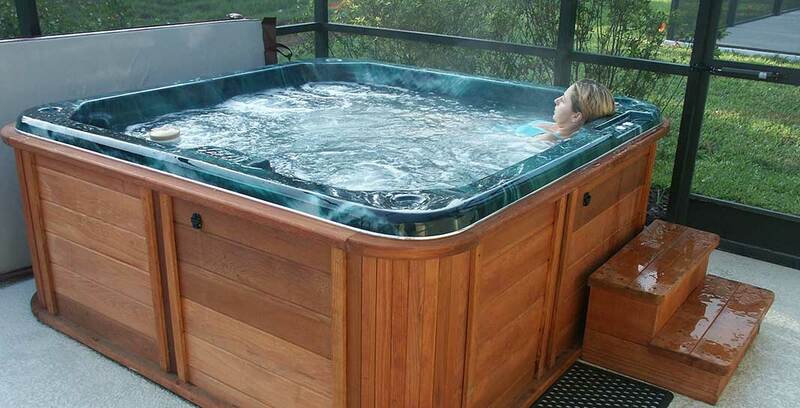 A spa can have a considerable impact on your electricity bill and cost over $500/year. If you don’t plan on using your spa during the winter, remember to shut it off. You’ll save over $250. • For savings, lower the standby temperature by a degree or two. • Put the cover back on after each use to retain heat. • Choose a spa with better insulation and two separate pumps, including an efficient model (with several speeds). • Choose a rigid, well-insulated cover to avoid wasting the energy required to heat the water. • Make sure your spa is protected from strong winds and the elements.